After skincare, we are now back to lip care! Especially for girls who used to put on a lot of makeup and lipstick! Don't even forget to take care of your lips too. Not only using scrub, to remove dead skins on the lips but also moisture your lips by putting on some balm and treatment. What about a mix of lip balm and tint for daily wear? 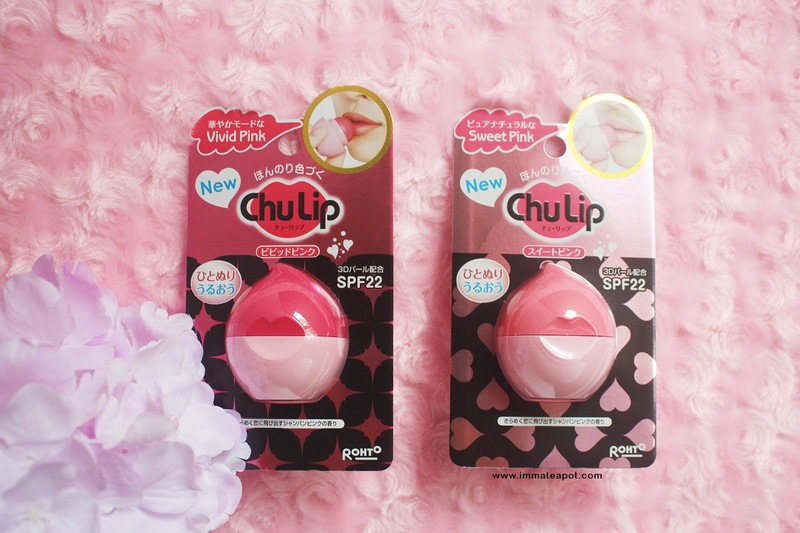 I am so happy to tell that Chu Lip lipbalm has released a new range of Chu Lip Tinted with two shades. Guess everyone is familiar with Chu Lip as we used to see them in Guardian and Watson, as well as their trendy and stylish dome shape. Aren't they to cute to be tuck in our bag?? 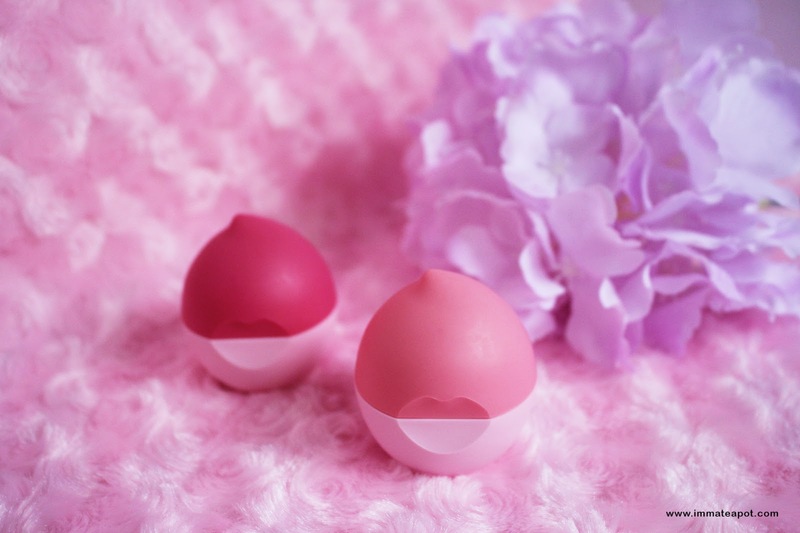 The sphere shape of the lipbalm not only enables us apply in just one touch, but also allows us to apply sufficient lipbalm on wide surface. In Chu Lip Tinted range, they comes with two different packaging, with only changes of shades on the cover, darker pink (fuchsia) and lighter pink (peach-pink). Work like a lip balm and lip tiny, it comes with an easy glide-on formula. 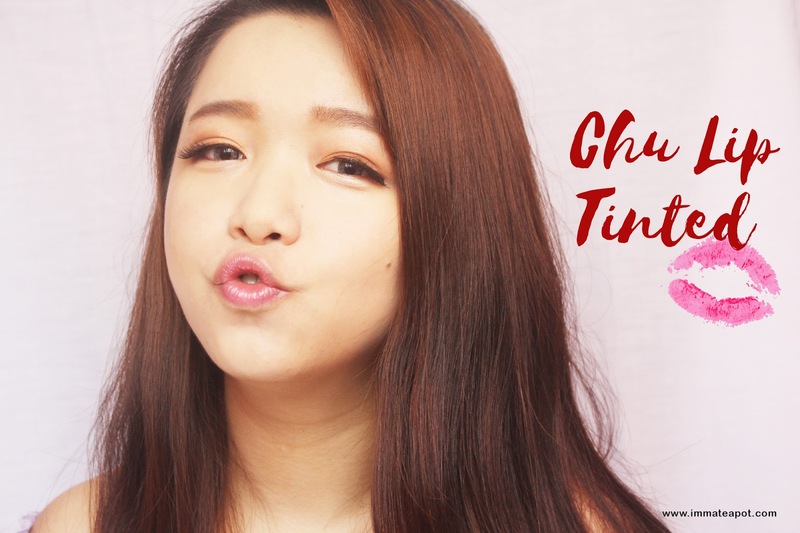 Chu Lip Tinted contains 3D pearl, Vitamin C, Vitamin E, Olive Oil, Shea Butter and Rosehip oil. All these ingredients helps moisturizing our lips, while keeping our lips plump and smooth. 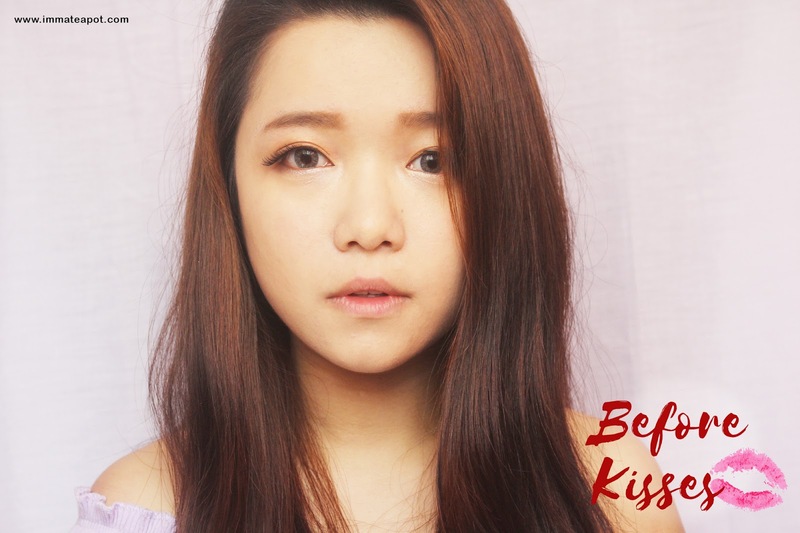 Beside, Chu Lip Tinted comes with SPF22 too. 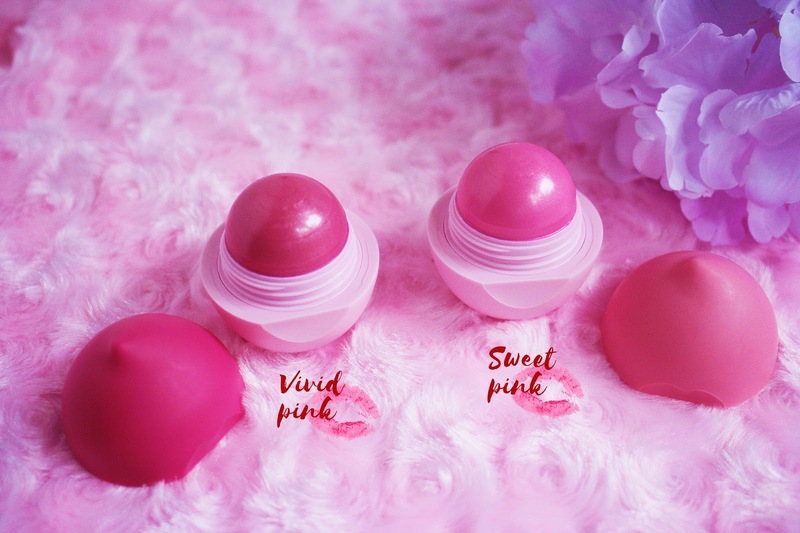 The texture is alike with the usual lipbalm, yet it is colored and comes with a light and refreshing berries fragrance. Fuchsia cover features the vivid pink shade. Peach-pink cover features the sweet pink shade. The vivid pink, look much vibrant on the lips, much darker compare to our own lip color. Much natural and perfect for daily hang out with friends! 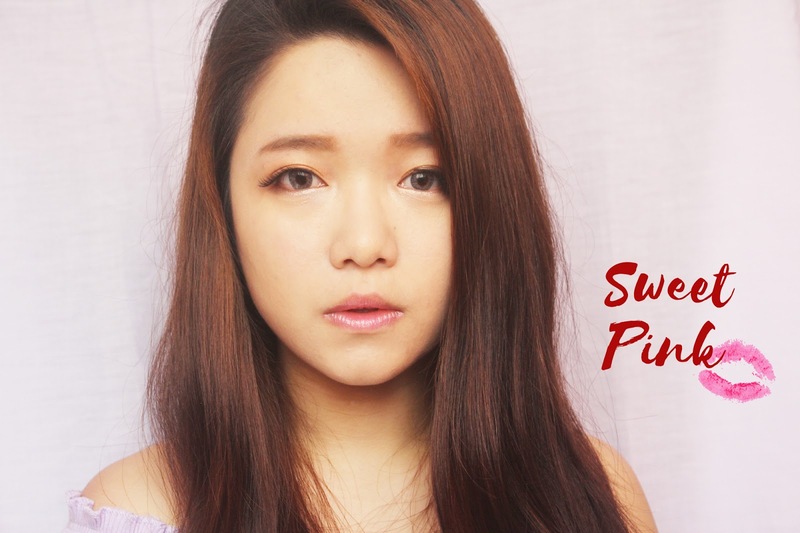 The sweet pink, look much soft and light on the lips, like putting a layer of gloss on the lips! Perfect touch for daily working or casual look. Before application, my lips looked really dry and pale. The chapped lines on the upper lips were obvious. After application, my lips looked much supple and moisturized! My lips was smooth and the chapped lines have been filled too! There was a touch of color on my lips, giving a boost on the overall look! I love the packaging a lot! Definitely! They are so cute and easy to be carried anywhere anytime. During the first application, I can instantly feel the soothing and cooling sensation on my lips. It leaves my lips soft and hydrated. 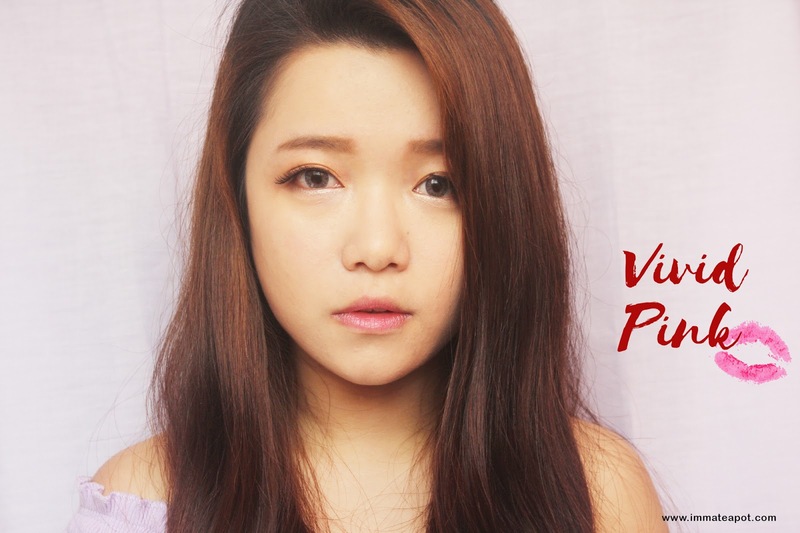 The lip tint last for a whole day with only once re-application. I love how the tint moisture and color my lips, as a lipbalm and tinted. Yet, I don't really love how the remaining tint left on my lips, with some peeled off and cracked stains. * Chu Lip products are available at all pharmacies and supermarket. so cute, nice color suits you. didnt know got this range until read here. Looking very good there ! Great review ! so cute oh! I love Chu Lip too! Beautiful pink shade and it suits every occasion, perfect to wear everyday. saw a lot of good review from other bloggers!! I should try it now!! I love Chu Lip so much and it can last me for 3 months. The new chu lip so cute and small. I'm currently using this too! Love the packaging and result! The packaging looks cute but isn't it difficult to hold? I like the shades, though and may just get both. Wow! That packaging looks very cute and convenient. Easy to apply on the lips but it is easy to hold while applying it? i think this product is perfect for me. who is looking for something light! The lip balm does give your lips a healty shade of pink!